Our high power inverters have the capability of powering a wide range of 115 V AC electronic devices like smartphones, laptops & tablets with its dual, 3 prong AC outlets and 1 2.1amp USB port. 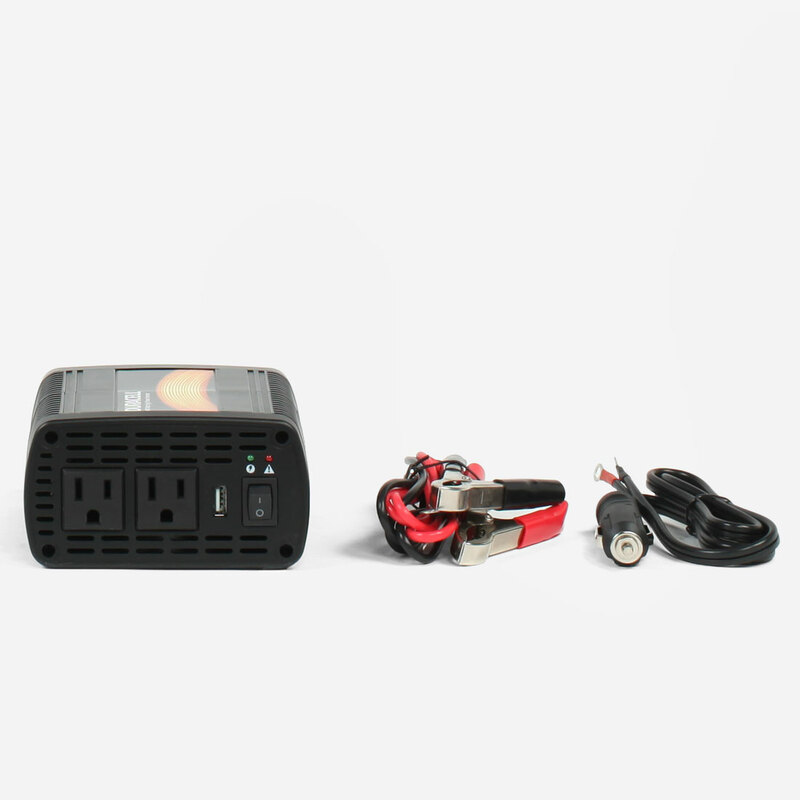 The power plug connects to your cars power socket for everyday use with items under 175 watts. The battery clamp cable connects directly to your car battery for high power applications over 175 watts.